The location is great. Near to many places that can reach on foot. I liked that the staff is accommodating and always smiling it makes us feel welcomed even though he doesn’t speak English very well he still know basic ones and we didn’t have a hard time communicating with him. The facilities from elevator to the capsules, comfort room and shower room are super clean! 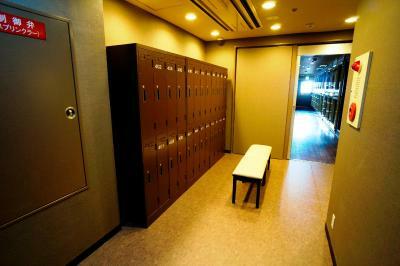 I like that they have allocated bathrobe, toothbrush and towel for each of us and a small locker for clothes & stuffs. Fantastic location!! Right in the middle of the Namba shopping district. We stayed the night before we flew home and it was perfect and cheap for this. The location was perfect for where I wanted to be in Osaka. 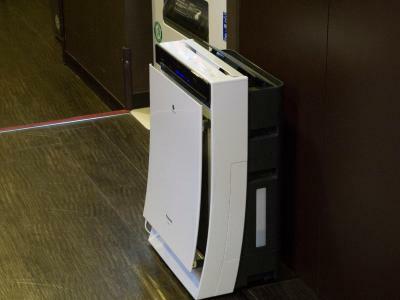 It was nice that you had to scan to get in and get out of the room areas. I like how the pods have a built in fan, tv, light, alarm clock, and radio. I also like how they provide a towel and other amentities. I really enjoyed my stay and would book again. The capsule is reasonably clean. 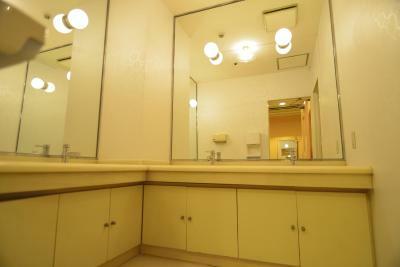 The shower room and toilet were very clean. Complimentary cup noodles. Beds were very comfortable. Air-conditioned and clean. Staff was helpful and kind. Centrally located in a popular area. Female-only floor secured with key card access. Excellent location. Situated in Shinsaibashi in Osaka so it is THE place to be as a tourist to be right by the restaurants, shops and bars. Facilities are clean and ample. 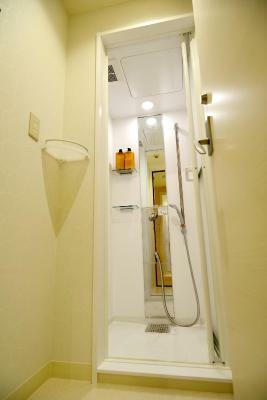 I’ve stayed at capsule “hotels” before and I like how their shower and bathroom are on the same floor as the capsule rooms for convenience. Staff is very nice. Capsule rooms each have a fan for when it gets warm and it was just cool enough (not cold) and it’s easily adjustable. (I’ve stayed at a capsule hotel before and there was no fan in the capsule so it got hot during the night). B&S Eco Cube Shinsaibashi This rating is a reflection of how the property compares to the industry standard when it comes to price, facilities and services available. It's based on a self-evaluation by the property. Use this rating to help choose your stay! 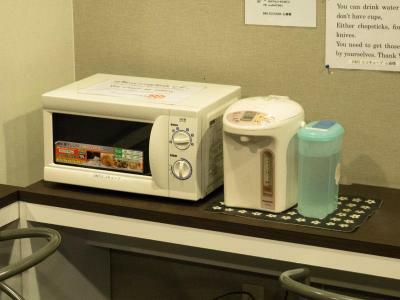 B&S Eco Cube Shinsaibashi offers sleeping capsules with a TV and free WiFi throughout the property. 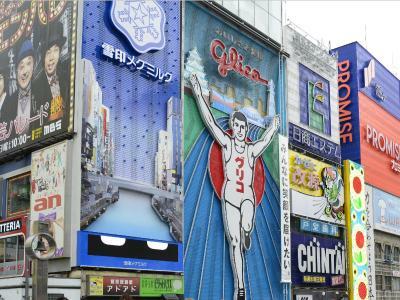 Dotonbori is a 6-minute walk away. The Shinsaibashi B&S Eco Cube is a 5-minute walk from Shinsaibashi Subway Station. 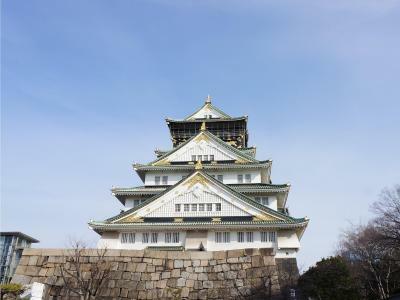 Tennoji Zoo can be visited a 20-minute train ride from Namba Station. Compact, air-conditioned compartments are placed side-by-side in a common area. Each comes with a privacy blind while bathroom facilities and toilets are shared. Luggage can be stored in the on-site lockers for an additional fee. 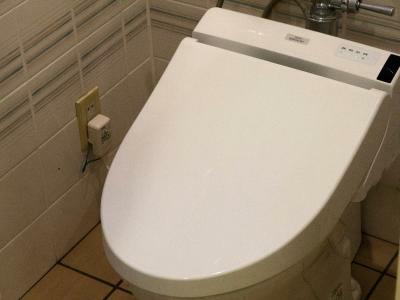 The shared bathrooms at Hotel Eco Cube Shinsaibashi come with free-use toiletries and shared hairdryers. Drinks vending machines are on-site. When would you like to stay at B&S Eco Cube Shinsaibashi? An air-conditioned sleeping capsule in a shared room, with a privacy blind, a TV and air conditioning. An alarm clock is provided, and luggage is stored in a charged locker. Male guest only. An air-conditioned sleeping capsule in a shared room, with a privacy blind, a TV and air conditioning. An alarm clock is provided, and luggage is stored in a charged locker. Women only. Please note that this plan is strictly for 2 male guests only. 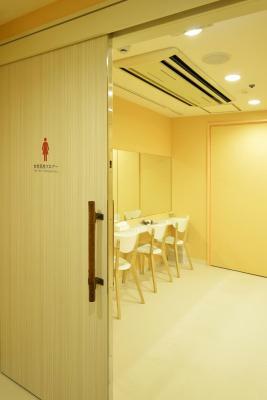 Female guests and female and male couples cannot be accommodated in these capsule rooms. Please note that this room type is strictly for 2 guests. House Rules B&S Eco Cube Shinsaibashi takes special requests – add in the next step! B&amp;S Eco Cube Shinsaibashi accepts these cards and reserves the right to temporarily hold an amount prior to arrival. B&S Eco Cube Shinsaibashi accepts these cards and reserves the right to temporarily hold an amount prior to arrival. Check-in is available until 02:00 in the morning. Please note that guests must arrange to arrive before this time or their reservations may be canceled. The property is closed from 10:00 until 15:00. Guests staying more than 1 night must also leave the hotel during this time. - The hotel requests guests to switch their phone to silent mode. Please do not eat or drink in the capsule rooms. Guests can eat and drink in the designated areas. - Children are not accommodated in this property. 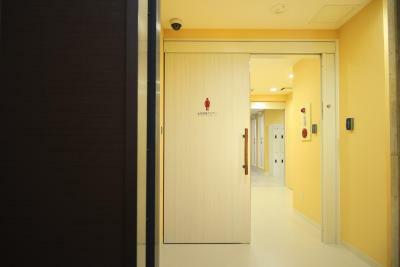 - Please be informed that the room type 2 Capsule Rooms for Male is for 2 male guests only. The people in the hotel speak good english. And its very modern looking. stuff did not care too much about us, there was no free luggage store (except reception area which I would not call "safe"), there was no fridge, corridors were dirty. Room was extremely small compared to other capsule hotels, no place to keep personal items inside, very inconvenient to climb in and out. It’s a typical hostel, don’t expect to get comfy. Something that I thought could improve is the security of reclaiming locker-keys after returning to the hostel (as we are to handover our locker keys when we leave the premises ). A suggestion could be to issue a card / reference number , for locker retrieval or to ask for identification when wanting to reclaim locker keys . Value for money I found the bedding comfortable & clean. Good shower facilities . 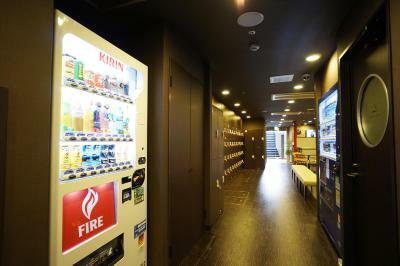 It s really not practical because, not only that you have to check in and out every day (most capsule hotels are like that) but you can not even keep the same locker. On the top it s loud in the room cause the lockers are in the same room so it s always busy around. Friendly personal, oldschool capsule with radio and excellent location. Pod design while very clean is a little dated but at price point it's still good. Pod was very comfy and I also got a free toothbrush and shaving gel. Shower was very nice as well. The pod interior was clean but dated. Toilet area felt a little dated but for the price it was still great. Very cheap the pods were very comfortable and access to local charging very nice as well. Also get a toothbrush and shaving gel with the price was also awesome. Staff very nice as well. The location is near one of the busiest area in Osaka, the cube is clean.